It is early morning and the sky is still a little grey as it sheds the last of the morning mist. A steep path winds down to the riverside and it too is slippery from the moisture in the air. 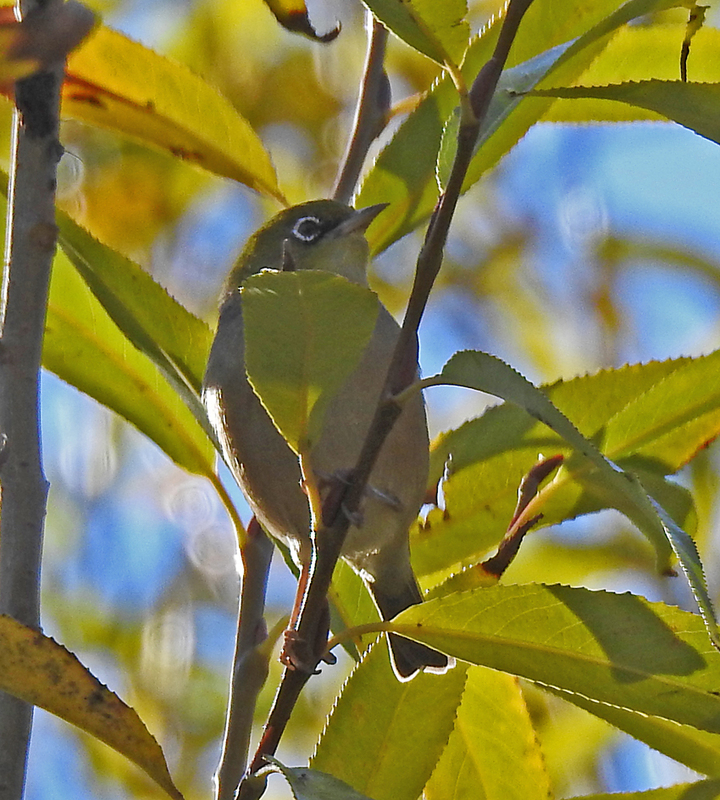 Small birds are flitting between the trees, moving too fast to recognise but an occasional call suggests they are honeyeaters and wrens. 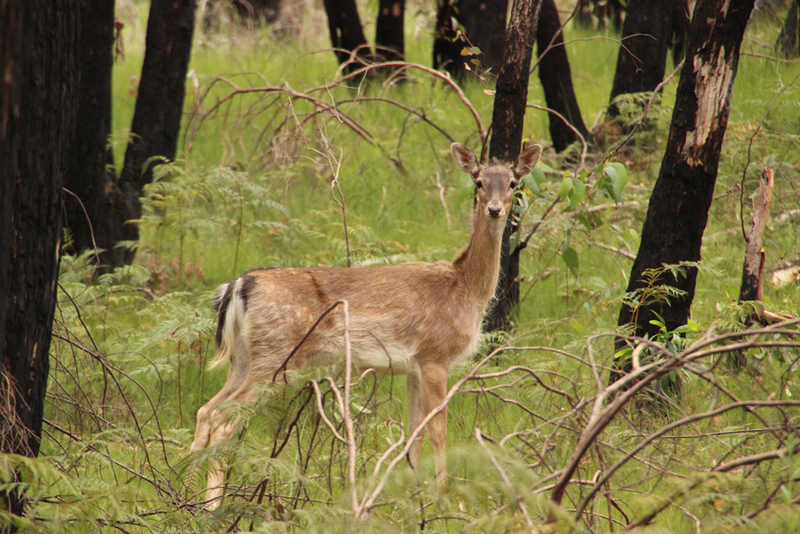 Eventually the ground levels off and I am able to walk comfortably amongst a stand of gums that border the water. 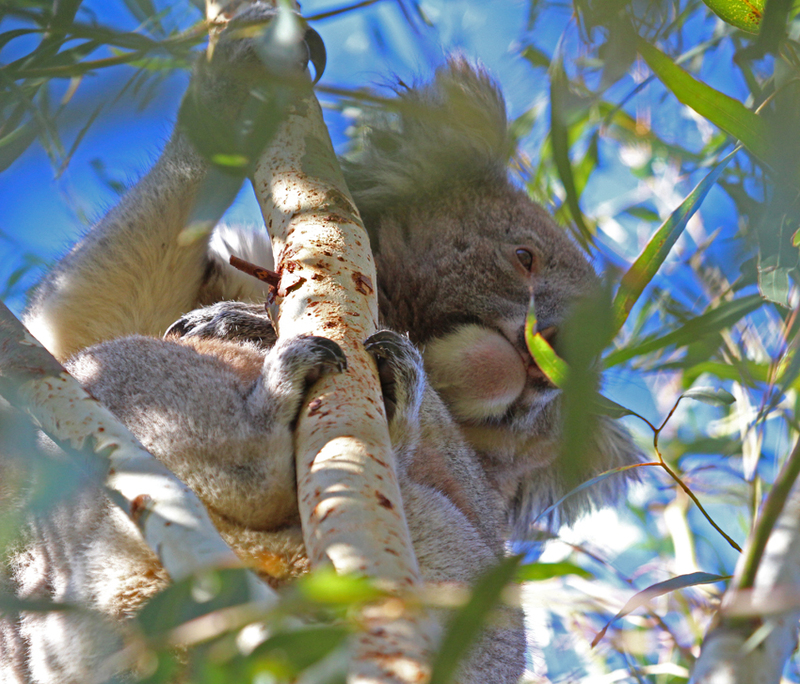 To my surprise I find a large koala in the one of the smaller saplings doing its best to reach the tender leaves at the top of the tree. 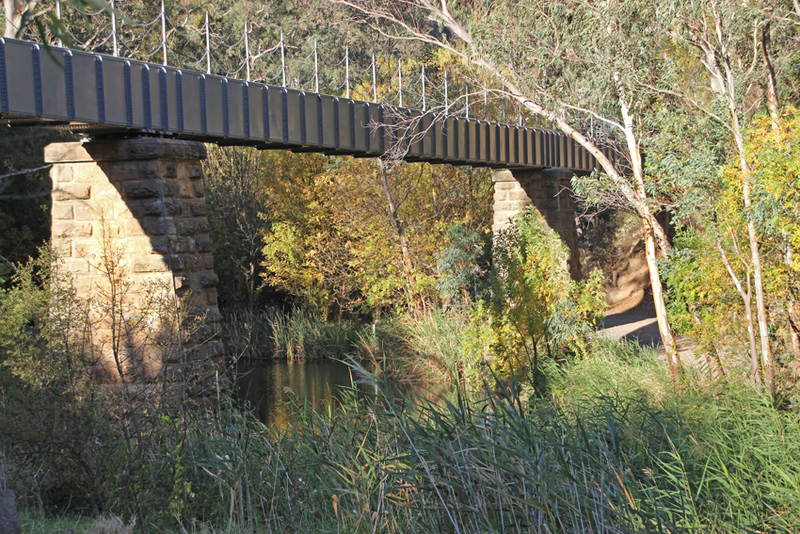 The road from the Cudlee Creek Bridge past the Kangaroo Creek Dam and back to Adelaide winds along the banks of the Torrens for the first few kilometres. 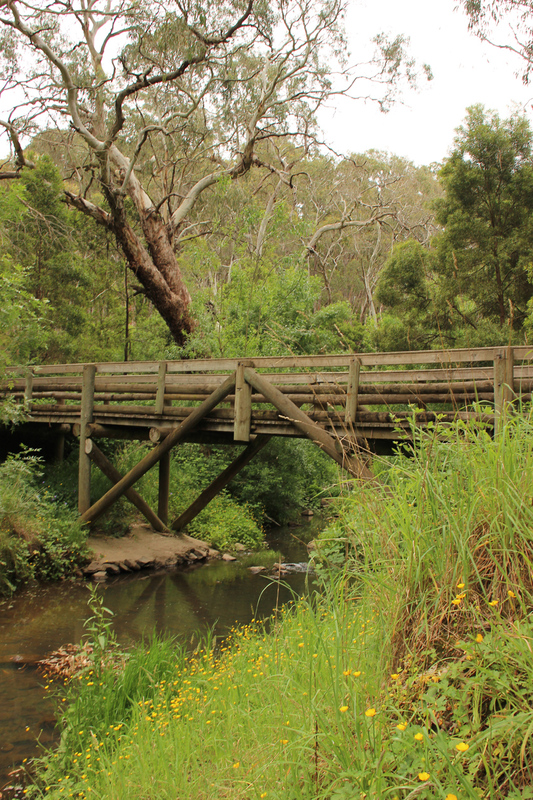 There are a few narrow lay-bys where you can access the water and the enveloping scrub. 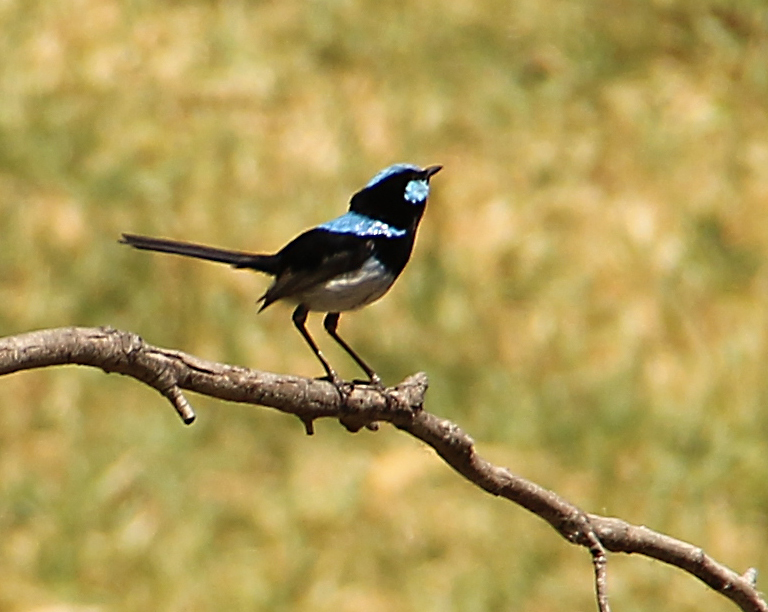 Steep hillsides and sandstone cliffs make this an attractive but arduous place to search for wildlife but one worth the effort as a variety of birds, grey kangaroos, water rats and turtles; to mention but a few species; make the Torrens Gorge home. Closer to the Bridge and Cudlee Creek store I park along a track and make my way down to the long pool at the foot of a hillside. 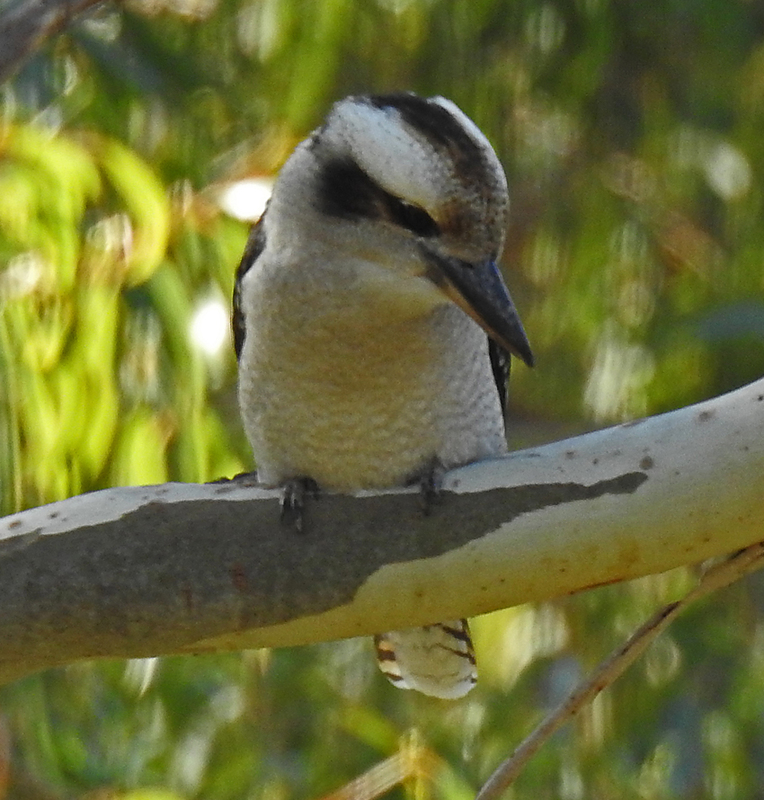 A pair of rosellas is chattering in the trees above me and an expectant kookaburra is waiting above the water on an overhanging branch. 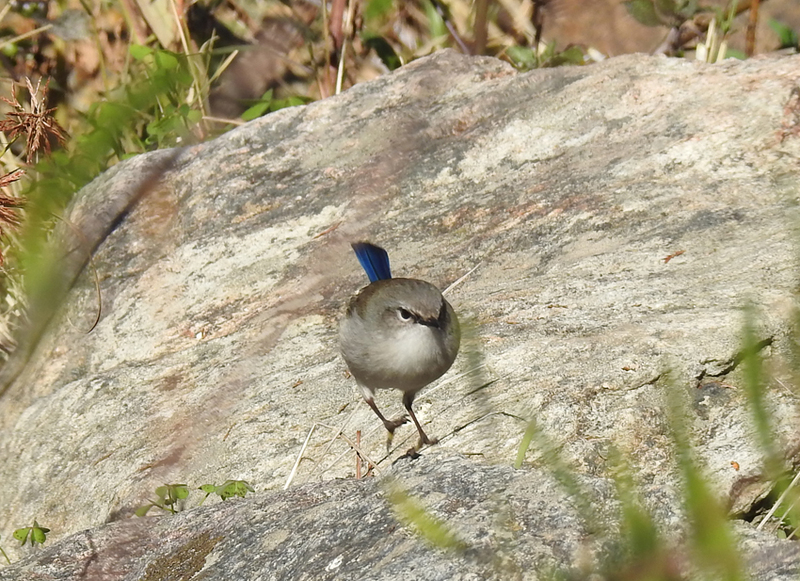 But it is the little fairy wrens that intrigue me. 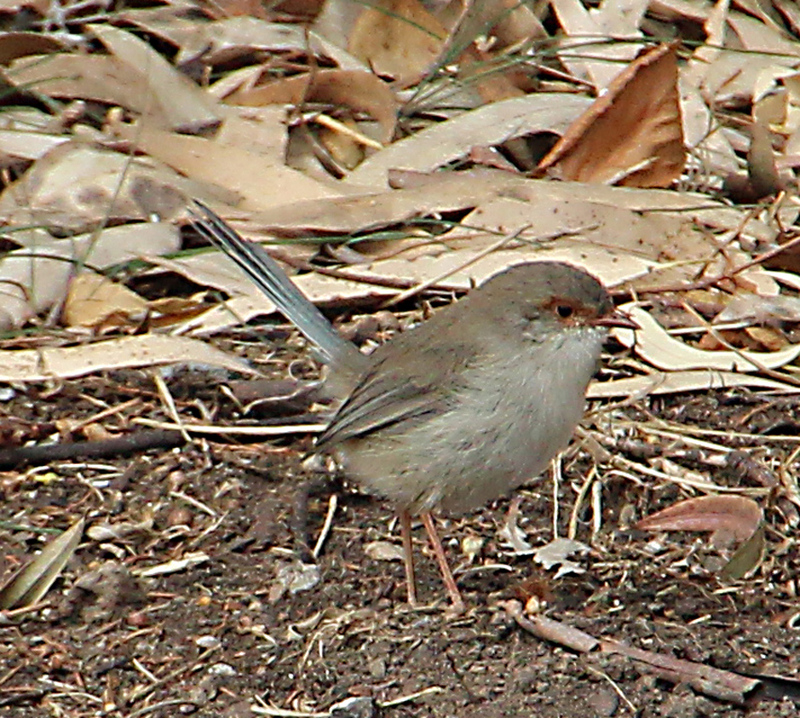 One bird sits cautiously on a large rock near some straggly plants that have gone to seed. 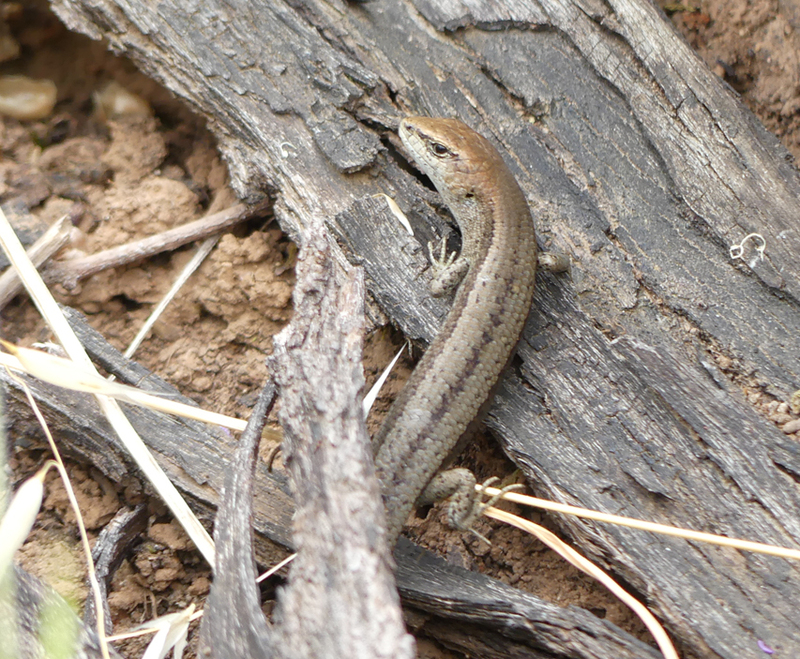 It seems aware of me but the lure of a nutritious lunch seems to outweigh caution. 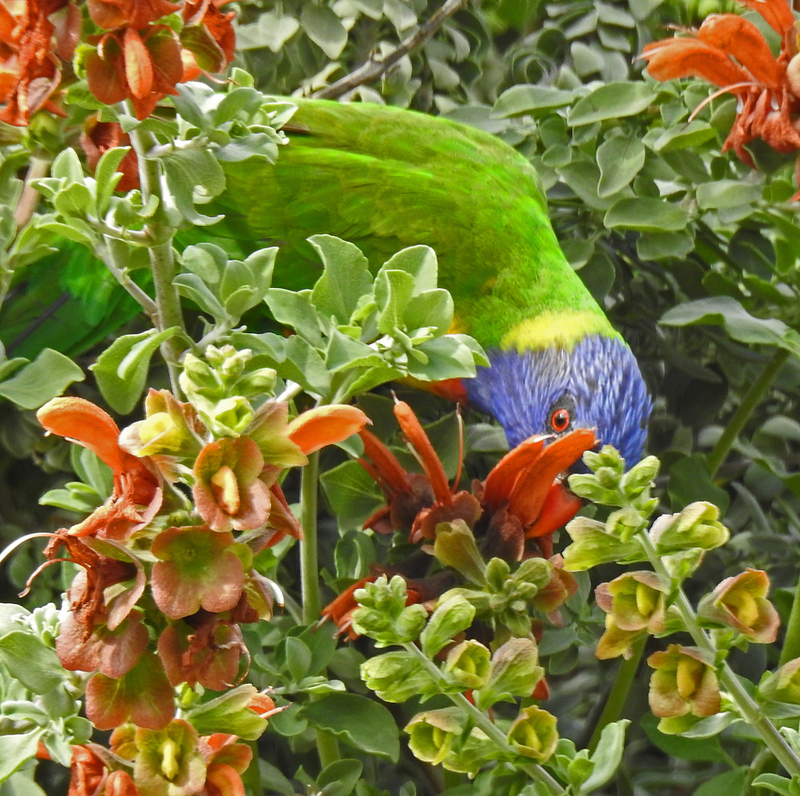 I watch it feed for a few minutes before the lorikeets issue a warning call and it flits back into the undergrowth. 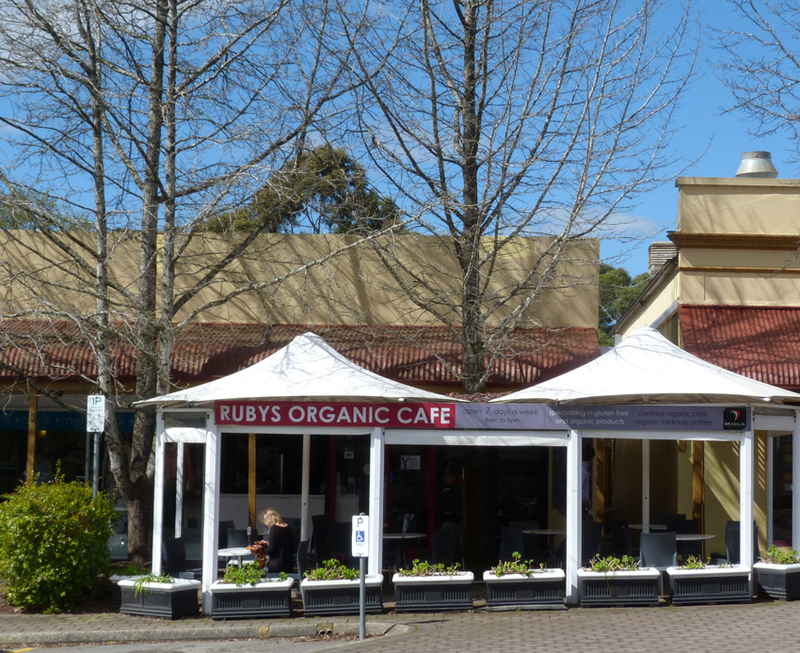 My final stop is the little store ‘come restaurant and gas station’ for a bite to eat but not before I walk across the adjacent bridge to see if I can spot some birds or even a possum in the foliage of several eucalypts that reach up from the river. 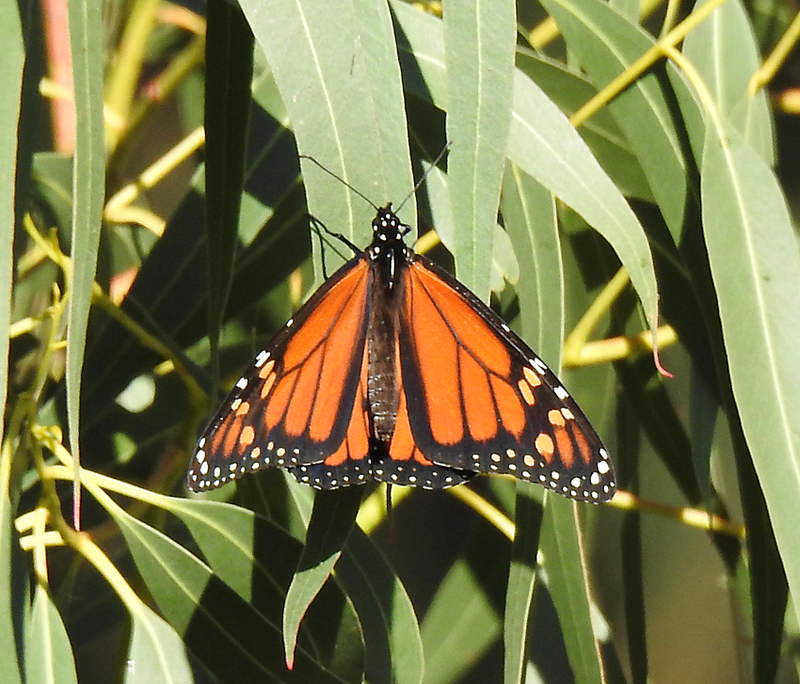 Though it is winter and insects are a rarity it is a beautiful monarch butterfly that provides my parting shot and a reminder to return in the warmer weather. 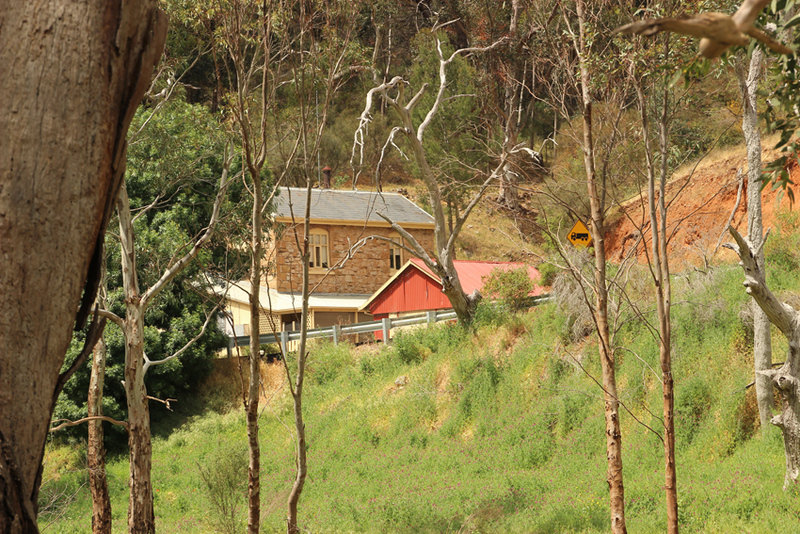 Exploring the riverbank can be quite difficult but driving and simply stopping at the lay-bys between Cudlee Creek and Kangaroo Creek dam is a pleasant drive. I have recently spent time in Africa and the link below will allow you to enjoy images and short texts describing some of my encounters with the wonderful wildlife of Botswana and Zambia. 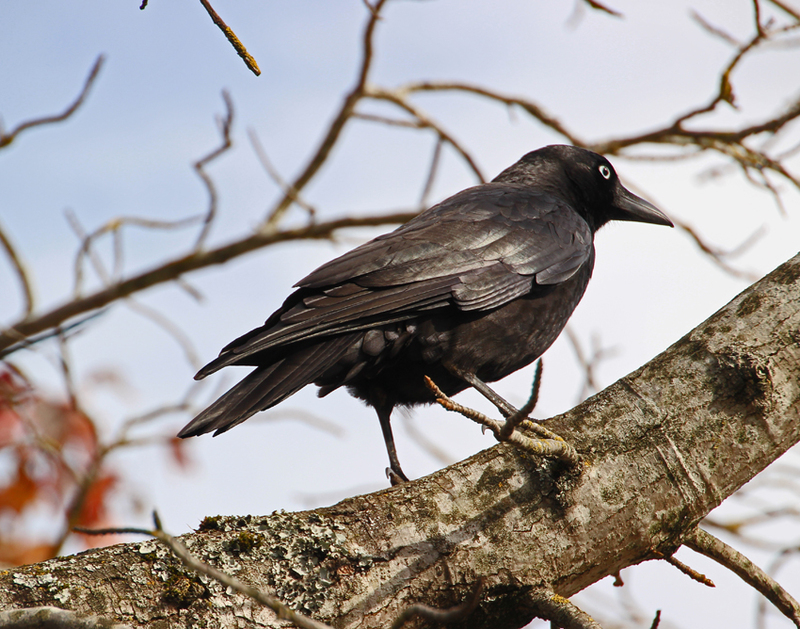 I will add a new image and caption to accompany each post. 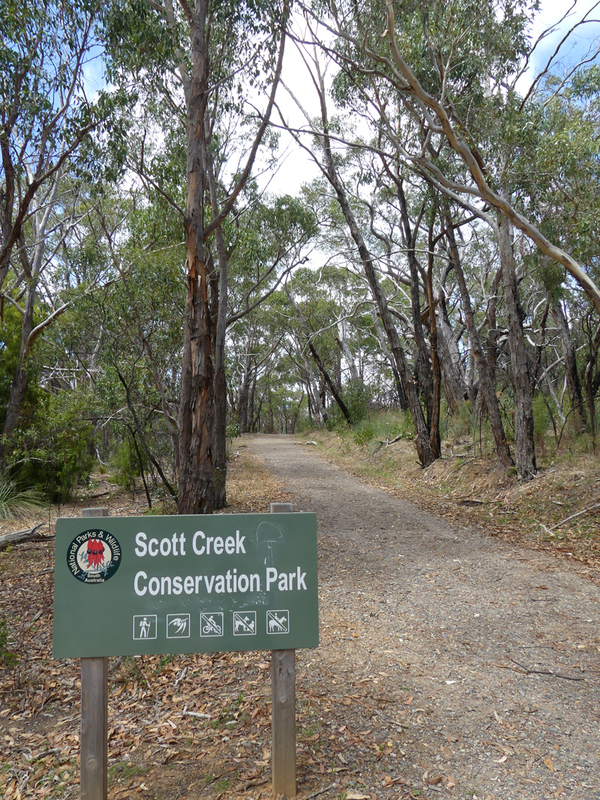 I drive up the gravel track to a parking lot surrounded by massive eucalypts where several narrow trails lead up the bush-clad hillsides. 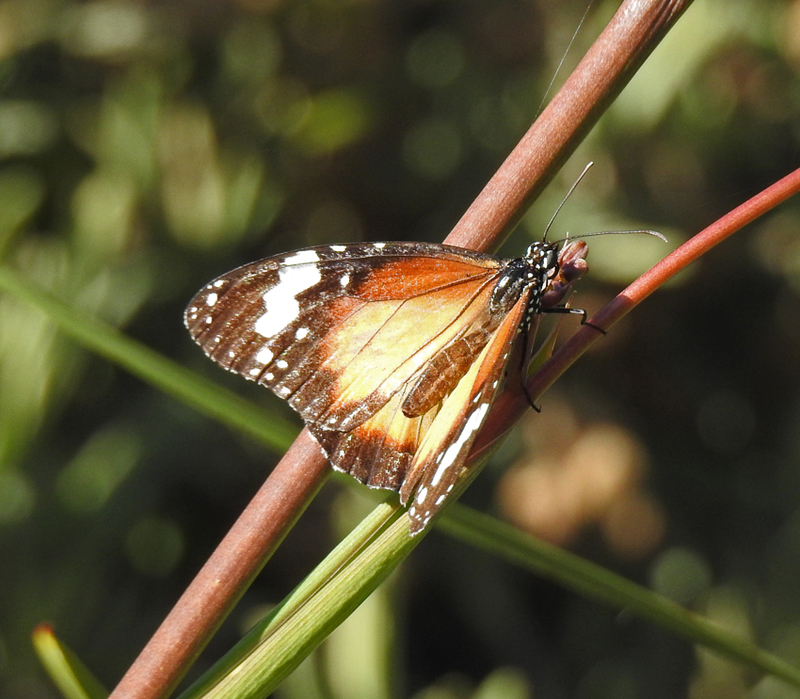 Wanderer butterflies are feeding on the blossoms of several small groundcovers and a kookaburra is serenading us from somewhere in the deeper recesses of the scrub. 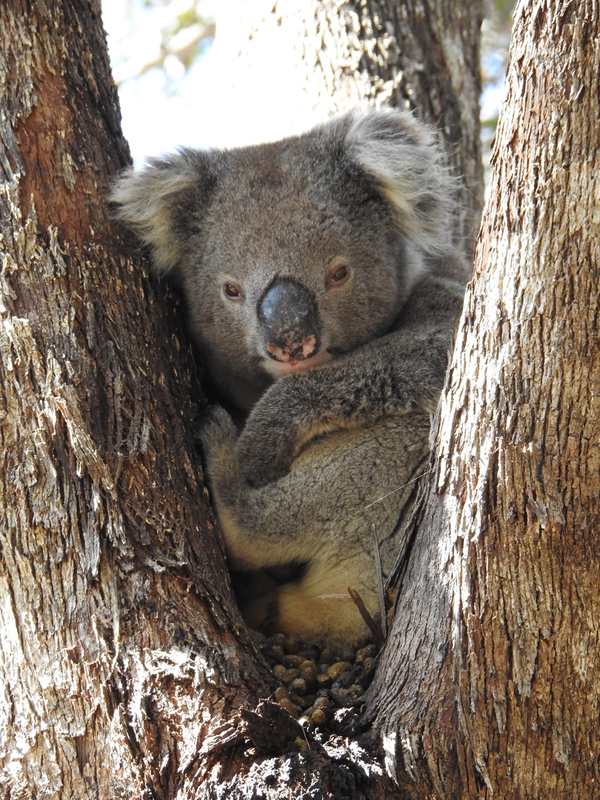 But it is a lone koala that grabs my attention as it stretches full length along a tree limb. Today is koala day. 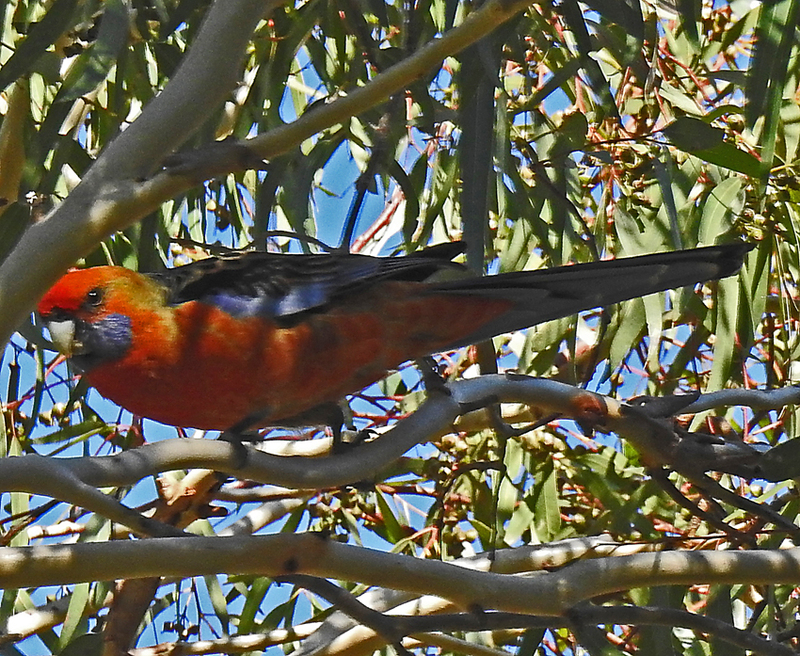 The sun is out and I am going to drive along the hill’s face to some of my favourite destinations and look for these fascinating marsupials, while trying to capture some images that demonstrate their lifestyle. 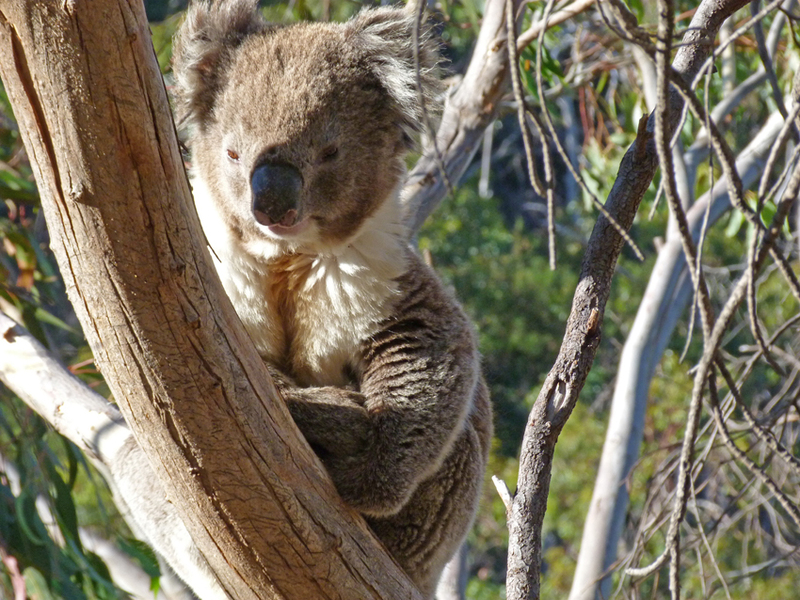 My first encounter is at Anstey’s Hill Reserve in Tea Tree Gully where I have often seen koalas along the various trails that wind through the area. 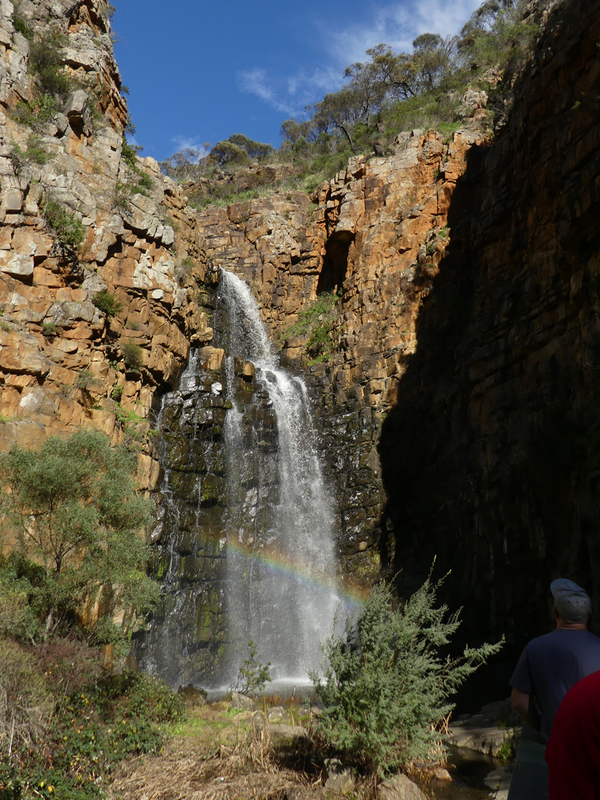 From Anstey’s I drive to Morialta Falls Park. 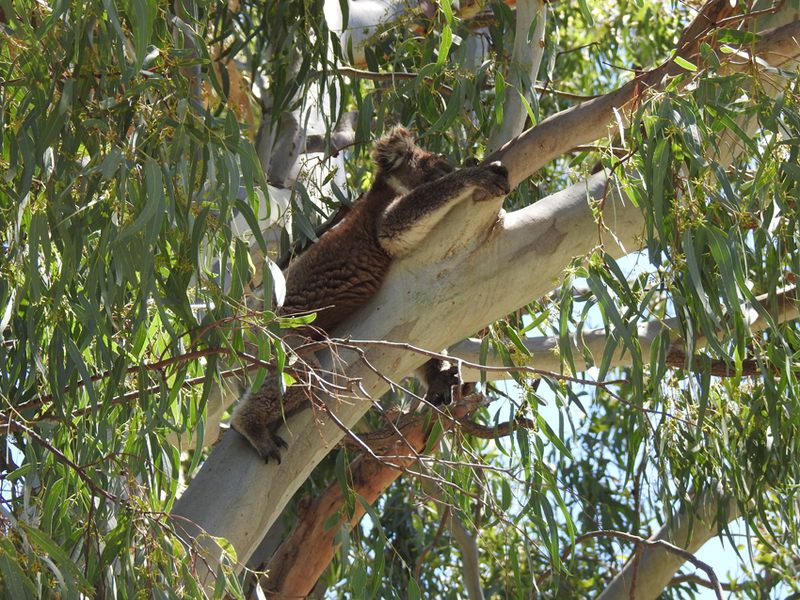 Koalas are often spotted along the road to the central gathering area where the walking trails start. 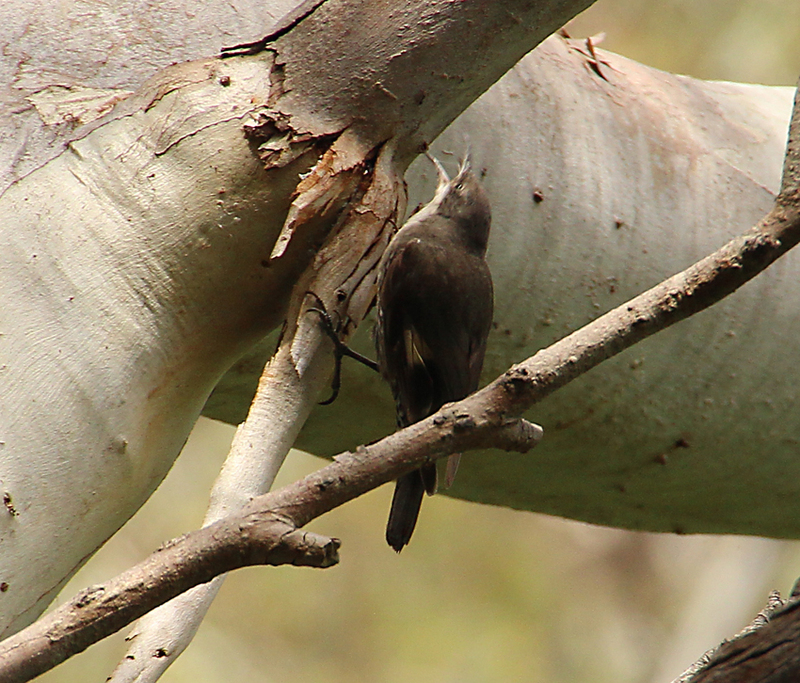 And, as if on cue, I notice an animal nestled in the branches of gum tree growing across the creek. 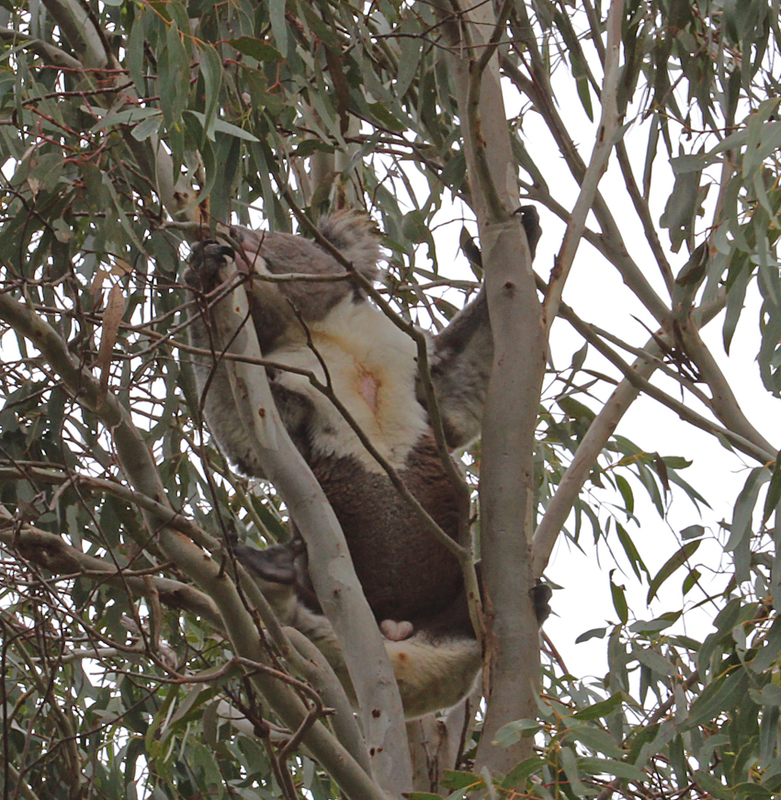 Unlike my first sighting this one is climbing, quite vigorously-for a koala- into the higher branches and is not in the mood to be photographed. 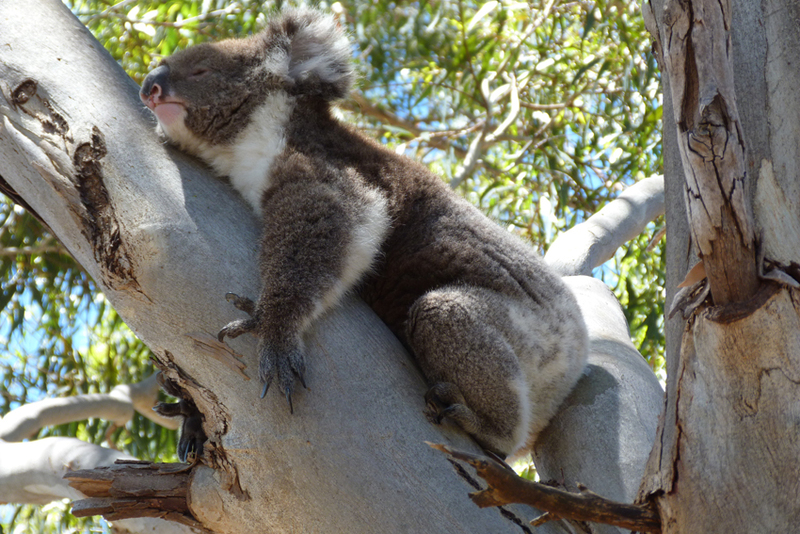 Koalas are generally slow moving, laid back animals as the nutritional value of the leaves they eat is low and energy expenditure must be carefully rationed. 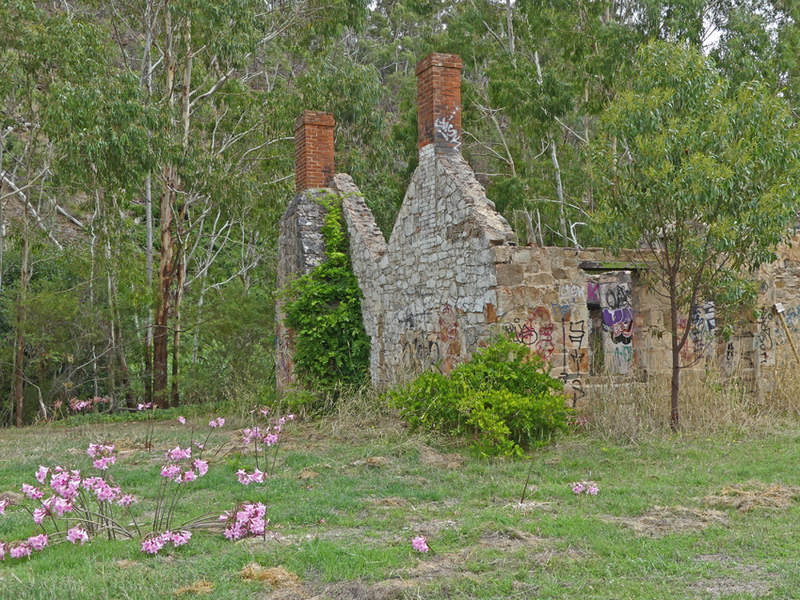 The Mount Osmond walking trails in Burnside are another of my favourite koala haunts. 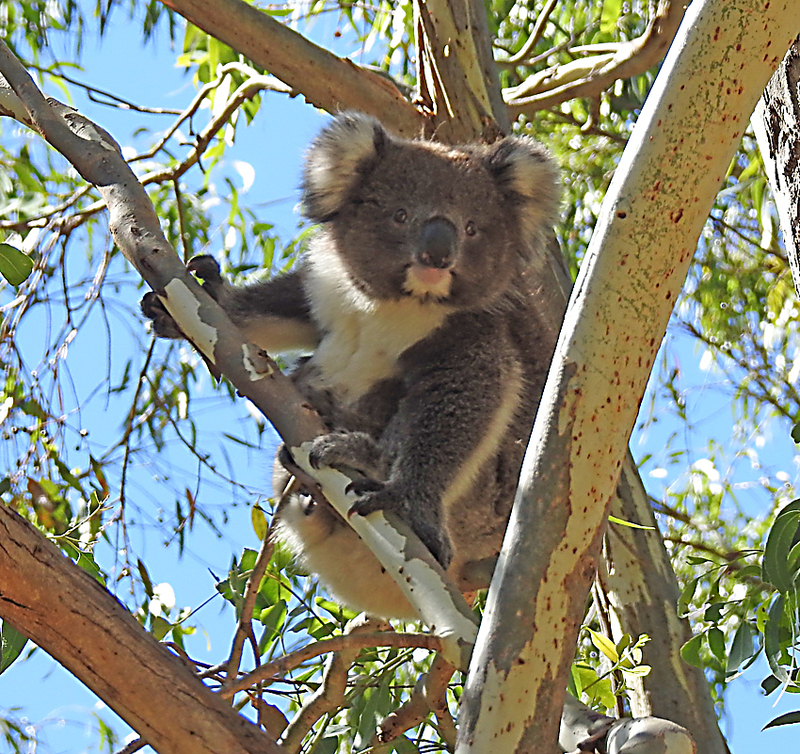 I am not disappointed and manage to spot half a dozen koalas in the trees alongside the path that leads to an old quarry. 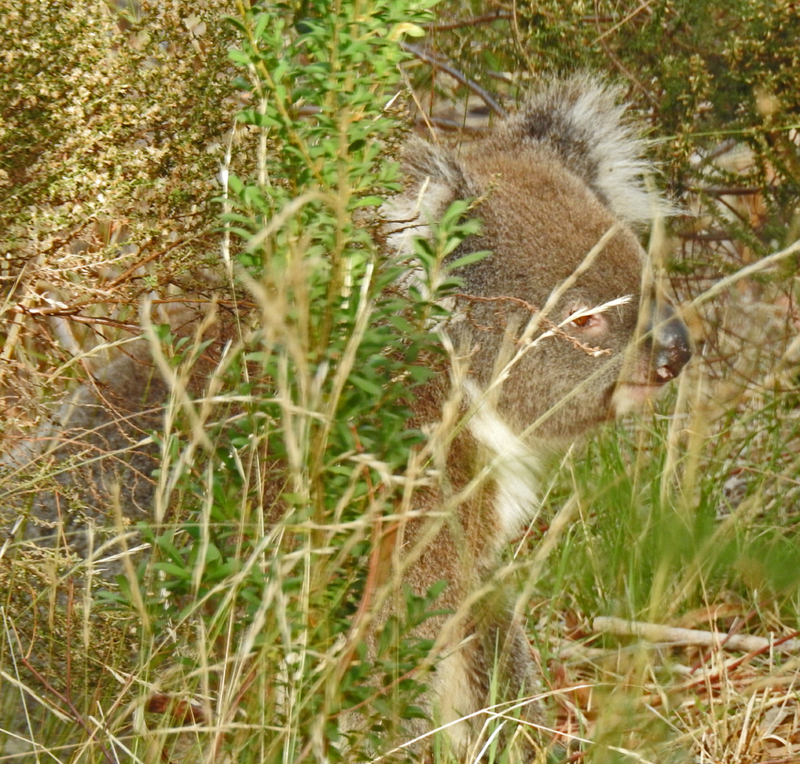 But it is a lone animal that continues my ongoing koala narrative as it walks on all fours between the trees. 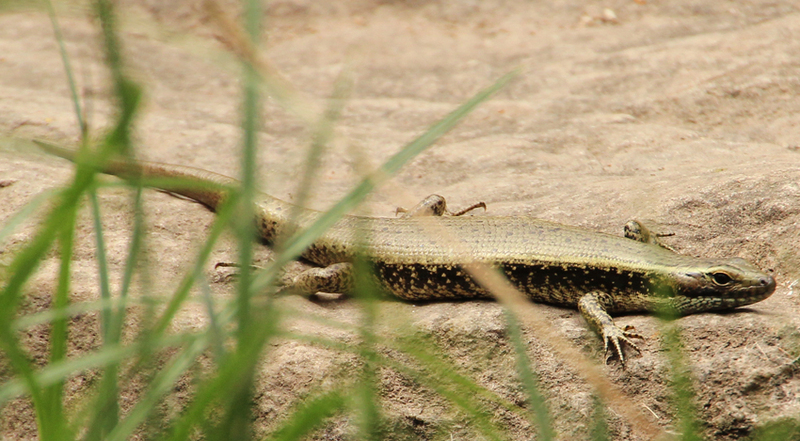 It is rare to see them walking on the ground as it is here that they are most vulnerable. 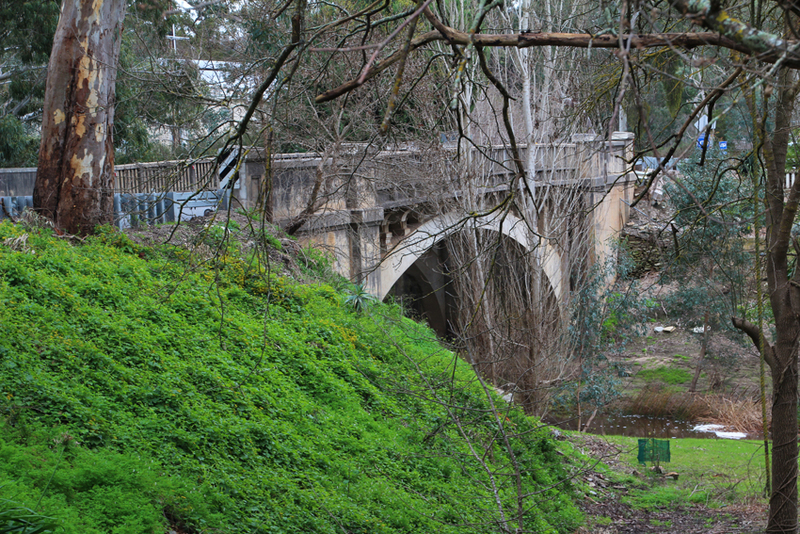 In Mitcham, the road that follows Brownhill creek has numerous lay-bys and koalas are often observed in this area. And my final shot of a koala demonstrating its perfectly adapted hand with two opposable thumbs for climbing and grasping leaves is a fitting way to end my observations of these uniquely Australian animals. 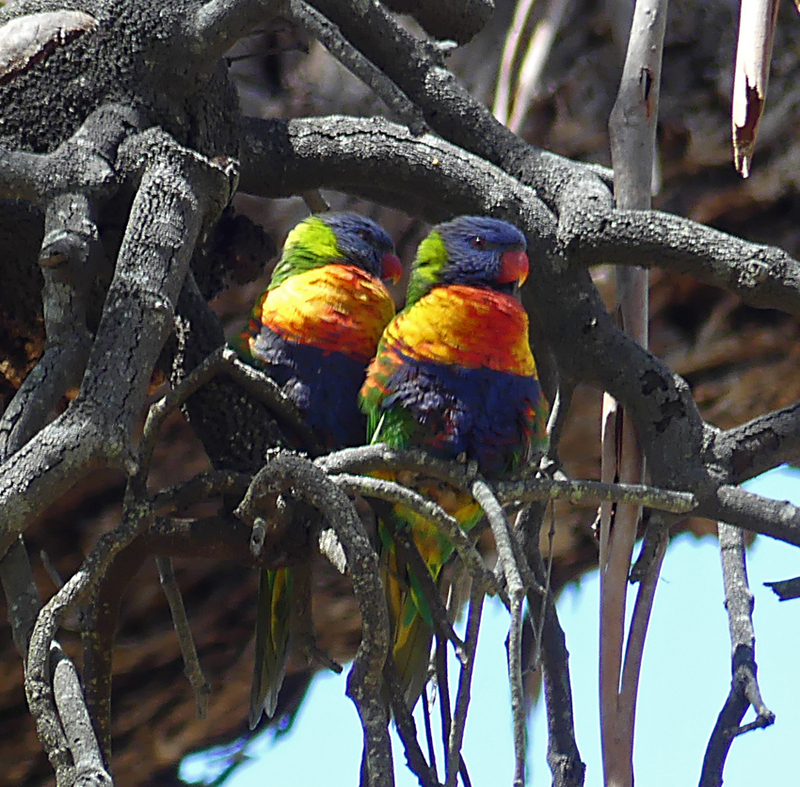 There is a rainbow lorikeet around fifty metres away from me. 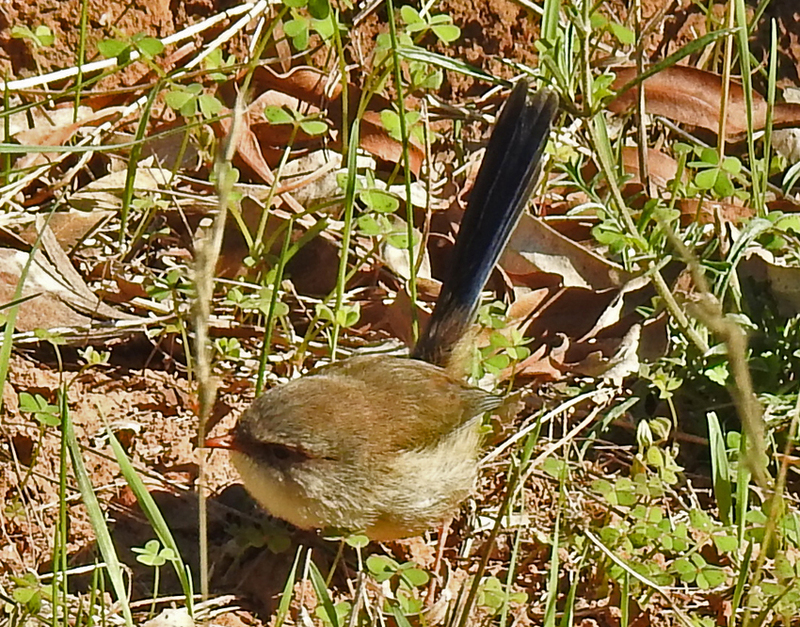 The excitable little bird has inverted its body to dip its feathery tongue into a tube shaped eremophila blossom. 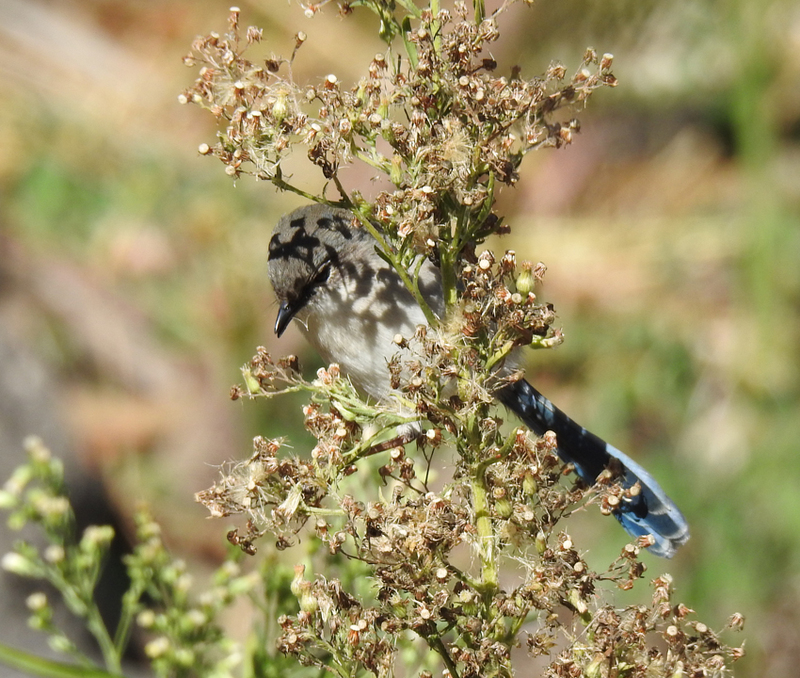 Several other species of birds including new Holland honeyeaters and wattle birds are feeding in the same garden beds where there is a smorgasbord of flowers to choose from. Clever planting also attract a variety of butterflies which feed on the nectar and help to pollinate plants by transferring pollen. 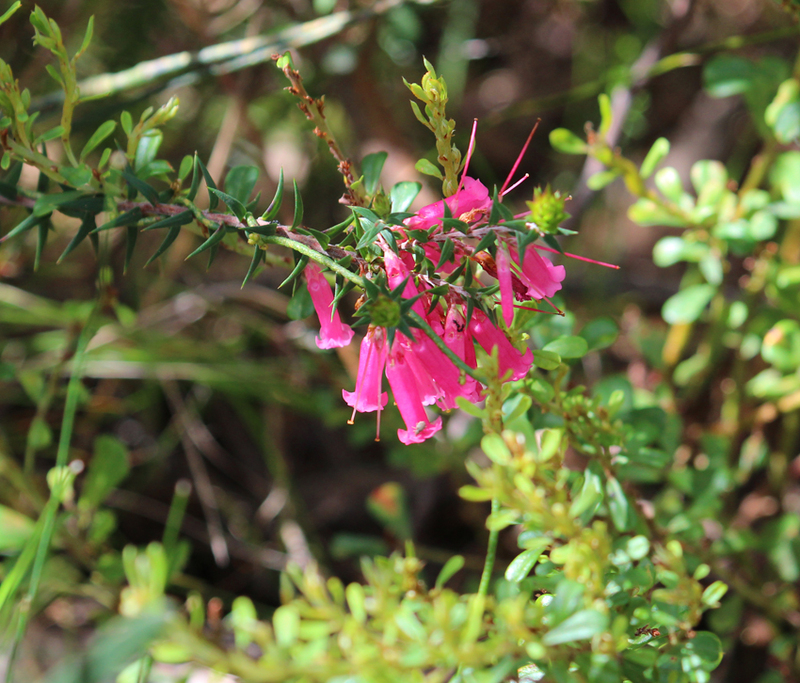 I am walking around the Wittunga Botanical Gardens near Blackwood in Adelaide’s foothills, just a twenty minute drive from the CBD. 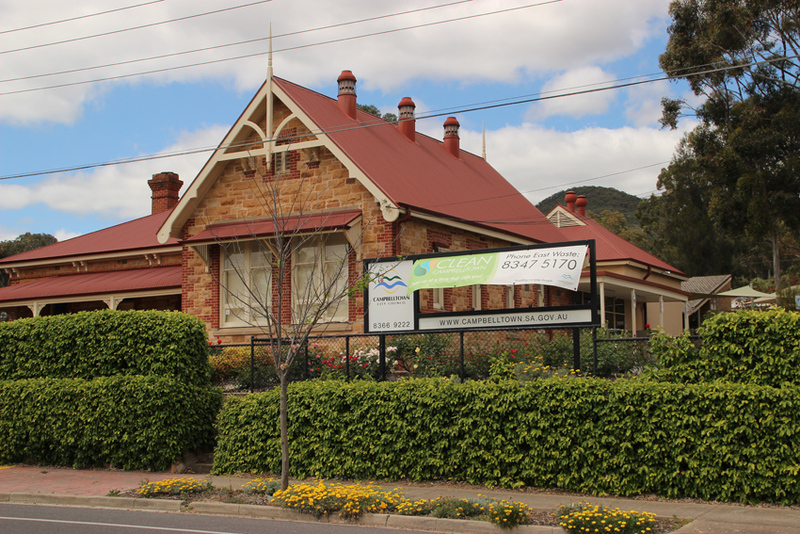 The busy little township is nestled into bushland where koalas and myriad bird species are common visitors. 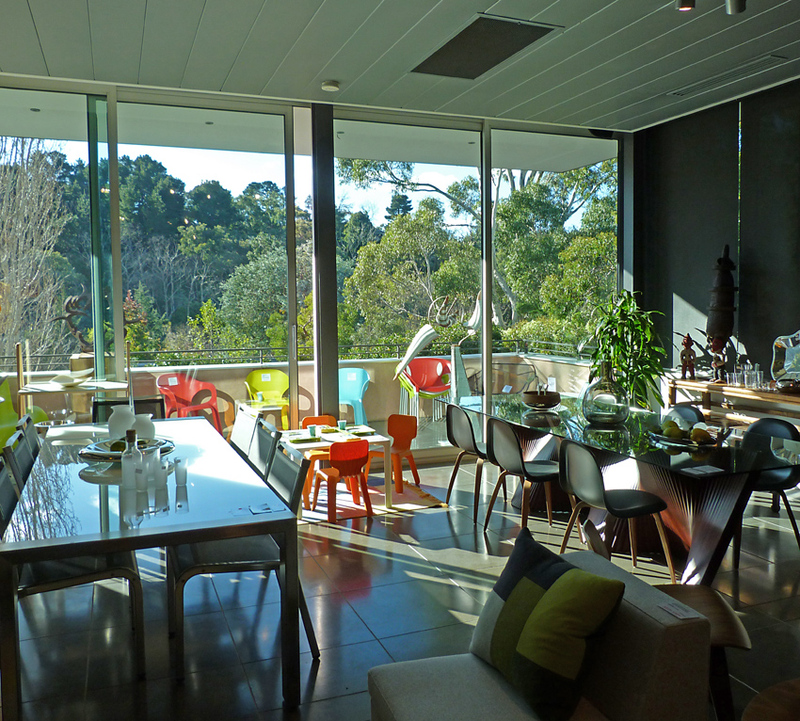 There are several hotels, bakeries and restaurants in the area and the Belair National Park and Golf course make this an ideal day trip for city residents. Leaving the flower beds behind I venture down to the lake that is the central feature of the park. 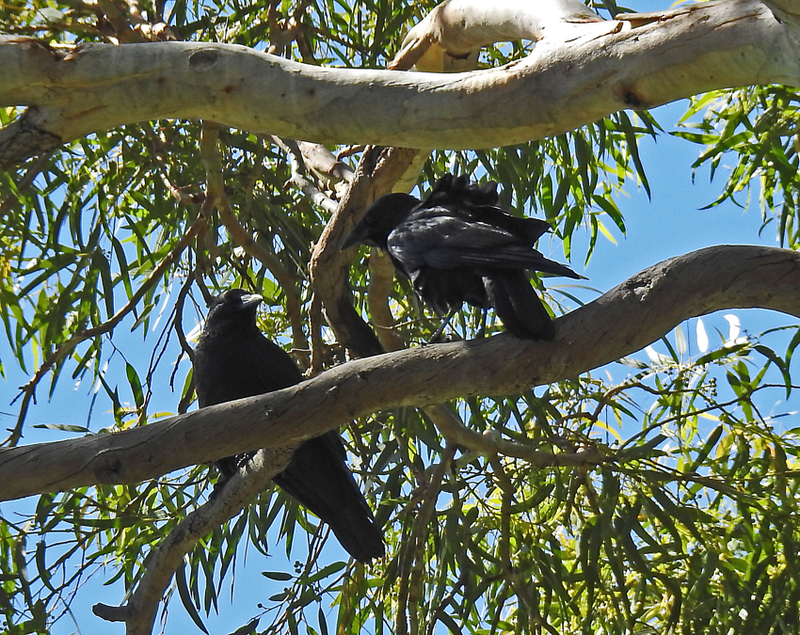 It is surrounded by massive gum trees and there are crows, honeyeaters and a kookaburra perched in some of the branches that overhang the water. 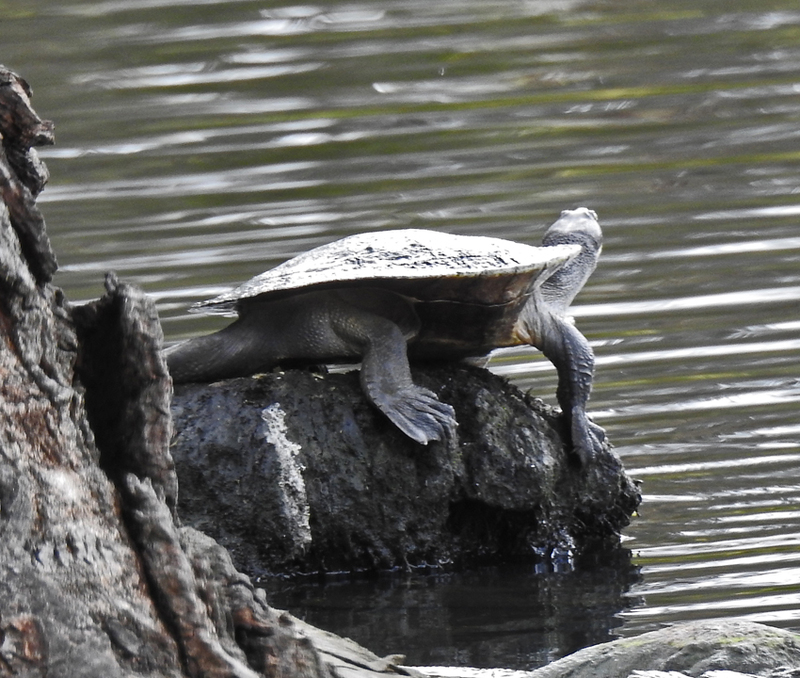 But it is a tiny head that emerges from the lake that draws my attention as I watch a Macquarie short-necked turtle swim towards the shore. 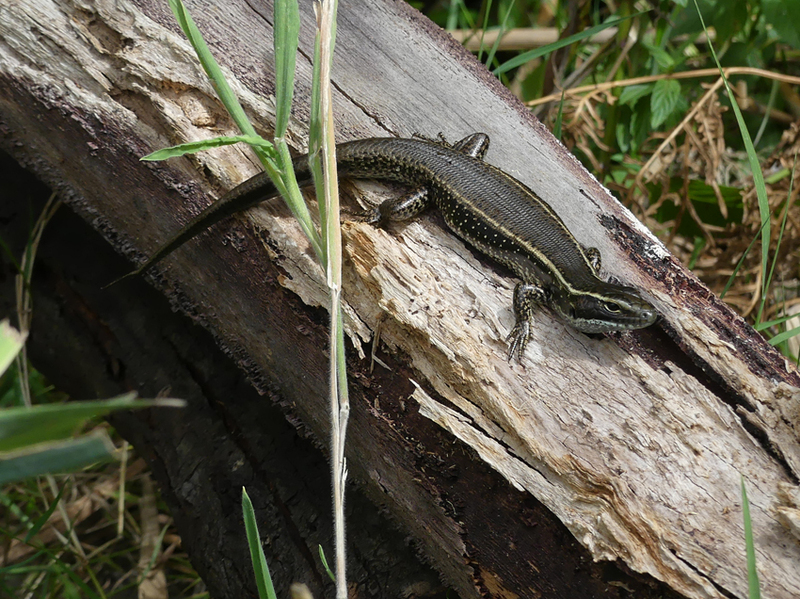 The side-plate sized reptile clambers up on to a fallen branch and positions itself to catch some warming sunlight. At the end of a long cool, wet summer the lake is full of new life. I spot purple swamp hens tending their fluffy black chicks near the reed beds. 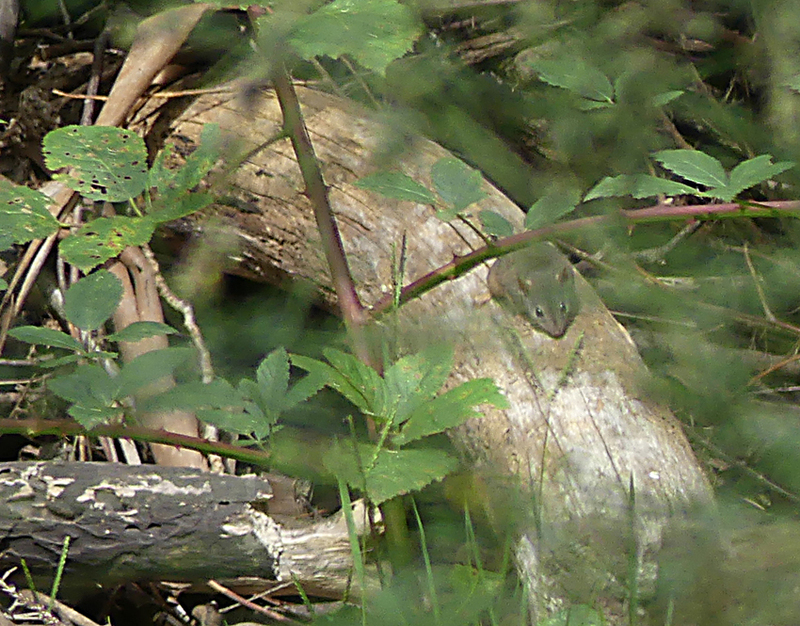 Several species of frogs are calling; probably spotted marsh frogs and common froglets or perhaps a potty bonk. 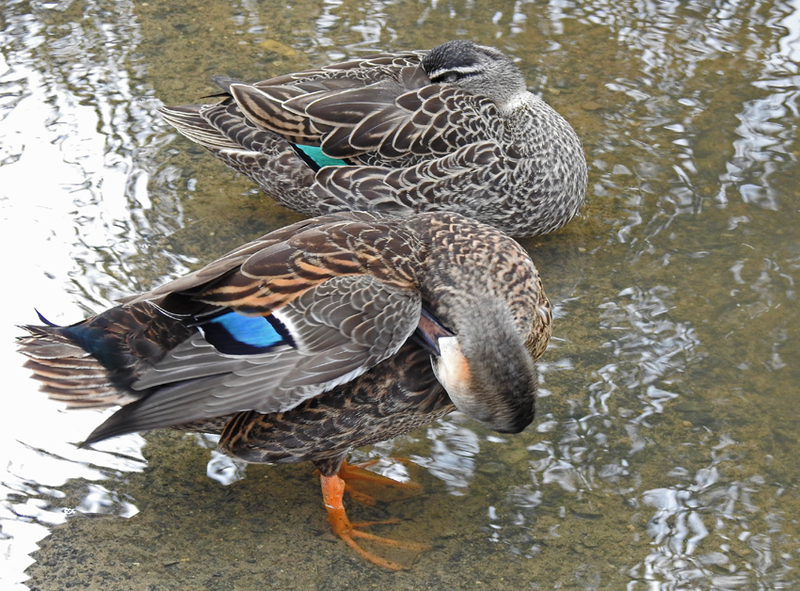 Two Pacific black ducks are preening their feathers near the water’s edge and Eurasian coots appear to be amorously pursuing each other further from the bank. 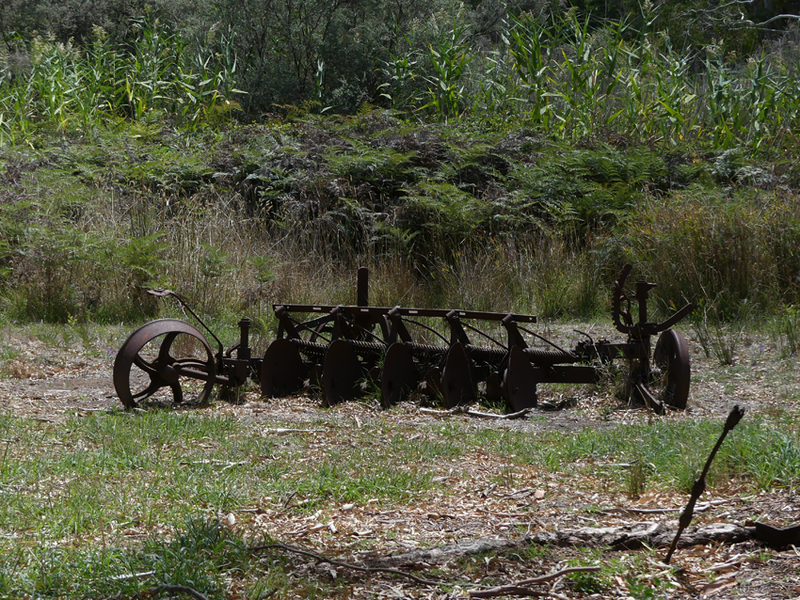 Various pathways meander around the lake and I choose one that cuts through a stand of massive red gums. 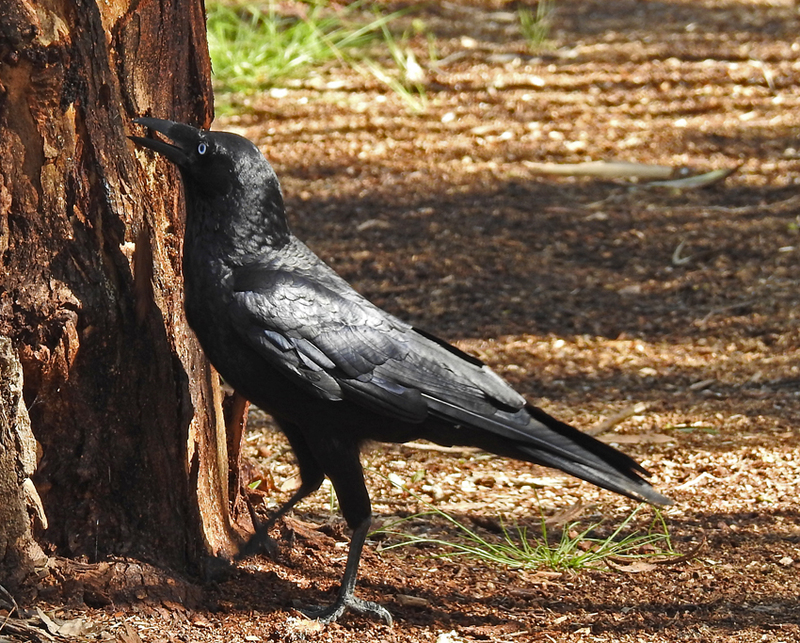 A lone raven is strutting around the perimeter of one tree pecking at the bark which is cracked and sloughing off the trunk. 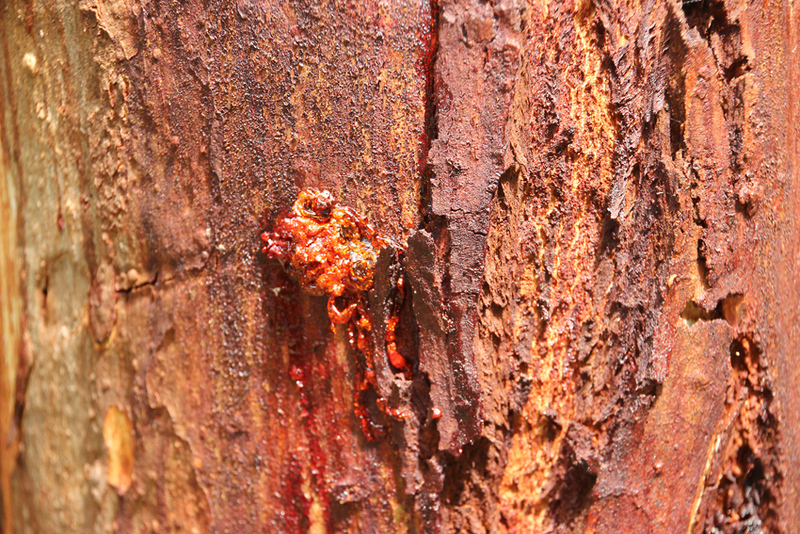 The bark of most eucalypts is an important environment for many smaller animals. 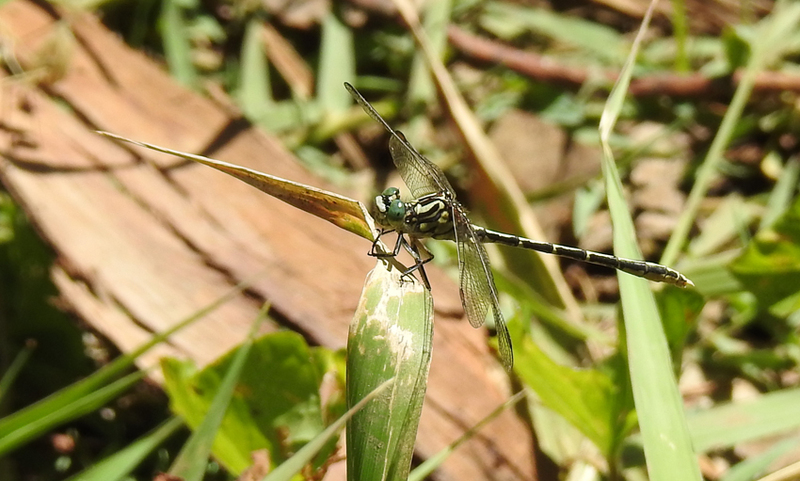 Insects and spiders find shelter and breed there while larger predators such as birds and lizards find it a fertile hunting ground. 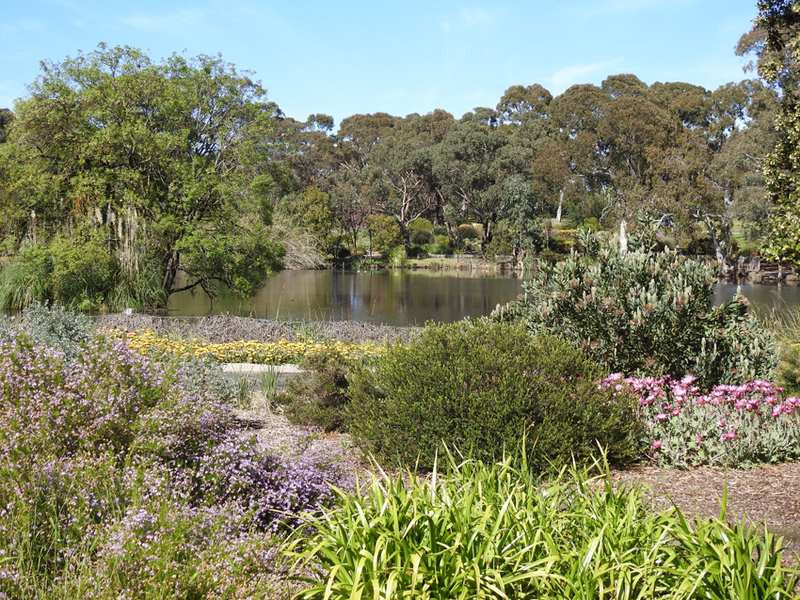 Having enjoyed a pleasant walk around the lake while indulging my passion for both wildlife and plants in general I walk back to the car park by way of a small stand of gums that run along the northern edge of the gardens. 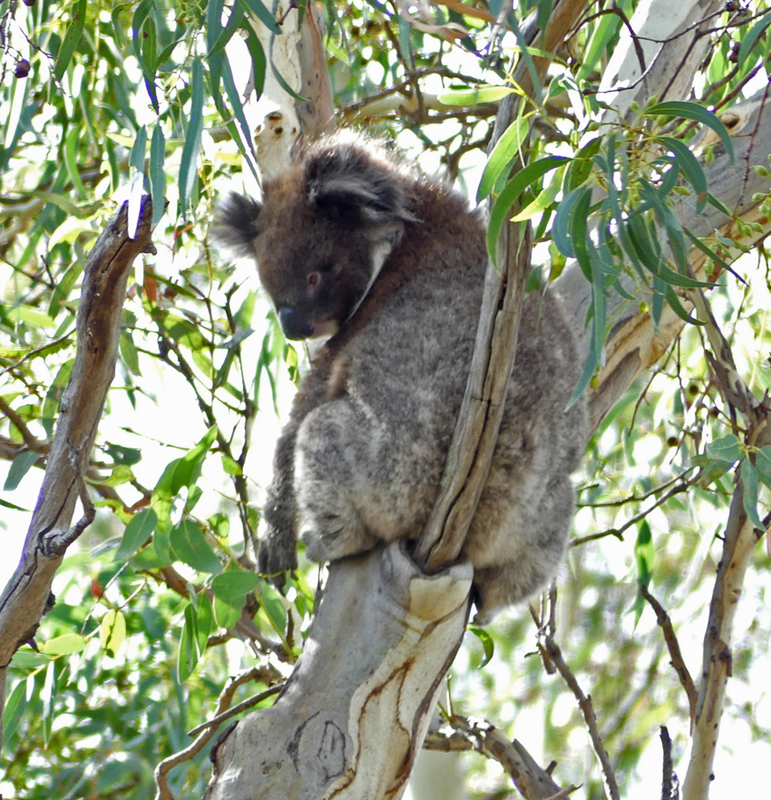 They are the kind of trees that might be attractive to koalas and I know that these endearing marsupials are common in the Blackwood area. 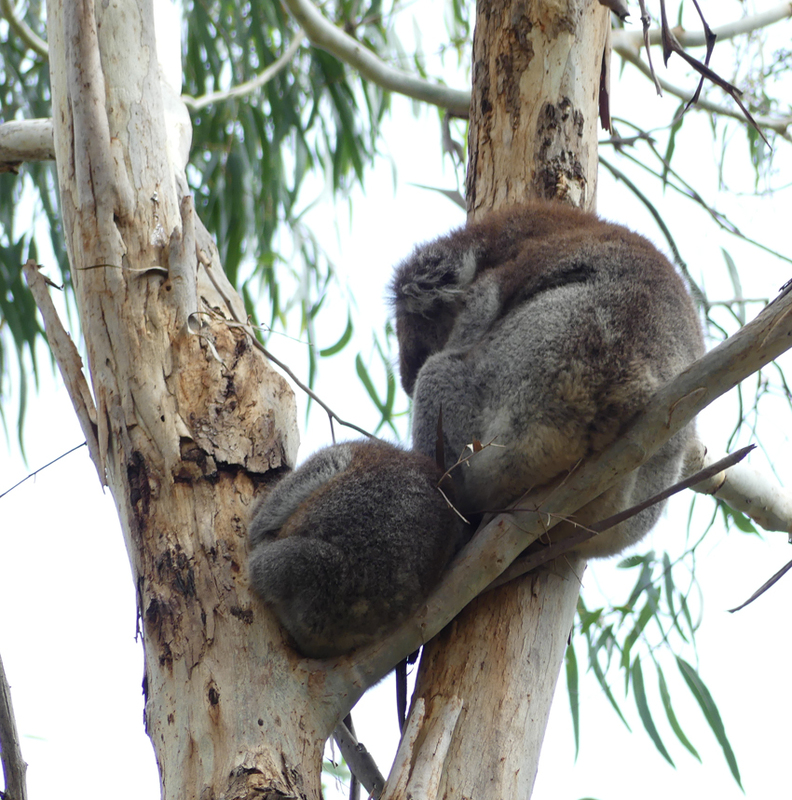 Sure enough, there is one wedged between two branches in what I can only describe as the perfect koala portrait pose; a nice way to finish my walk. 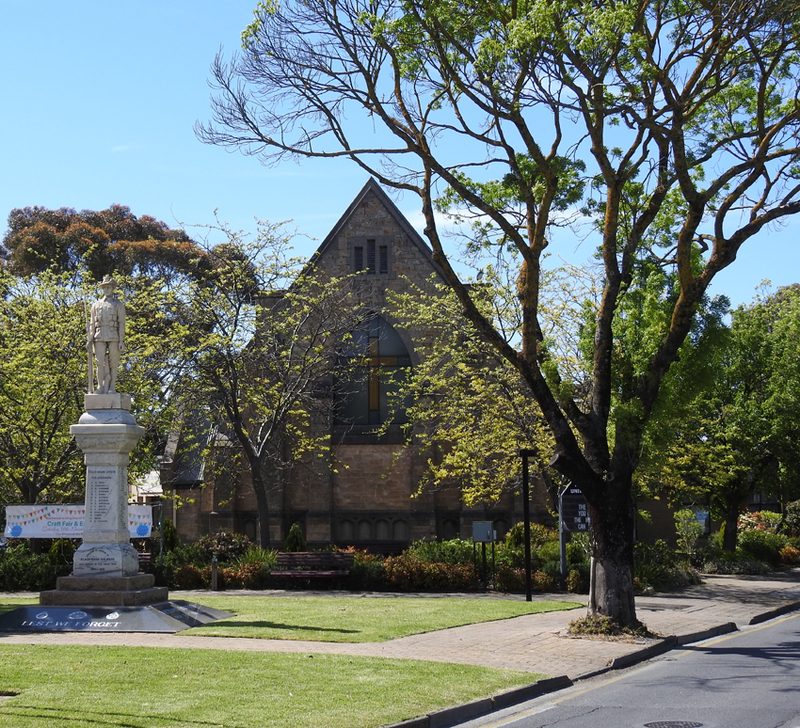 Enjoy our city and suburban parks in spring as they really are some of the best in the world. 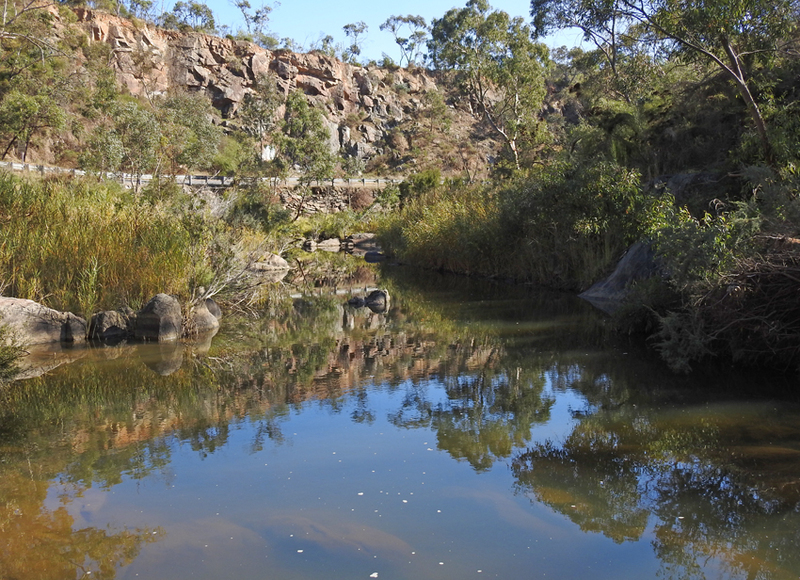 Dear Reader: I hope that you enjoy the field notes and images from my day exploring the lower reaches of the Torrens Gorge near Athelstone. I will be using this style from now on as it allows me to share more observations and thoughts with you.